Last week Travel Excellence had a notable participation in the Regional Conference for the Equal pay between men and women for more prosperous and inclusive economies, which was held in Panama on Tuesday January 30th. The conference reunited different exhibitors talking about the topic of the equal payment and salaries in the economies of the region. The objective was to discuss about the salaries’ equality as a form to generate more prosperous and inclusive economies for both, men and women. This regional conference was focused on the Equal Pay International Coalition (EPIC) mission, which looks forward to achieve equal pay between women and men for work of equal value by 2030. But, what is this organization? The EPIC is a multi-stakeholder coalition which is led by the International Labor Organization (ILO), the UN Women, and the Organization for Economic Cooperation and Development (OECD), and seeks to contribute to the achievement of the target that focus on equal pay between men and women for work of equal value. The main goal it is to achieve full and productive employment and decent work for all women and men by 2030, of course, including opportunities for young people and for those people with disabilities, considering an equal pay for work of equal value. Just as reference, the Equal Pay International Coalition was officially launched on September 2017, during the General Assembly of the United Nations in New York. Talking about gender equality, it is important to mention that this is a fundamental human right, and that it is also one of the UN’s Sustainable Development Goals (SDGs). This way, the equal opportunities for women are a means to move towards the achievement of other goals of the 2030 Agenda for Sustainable Development. 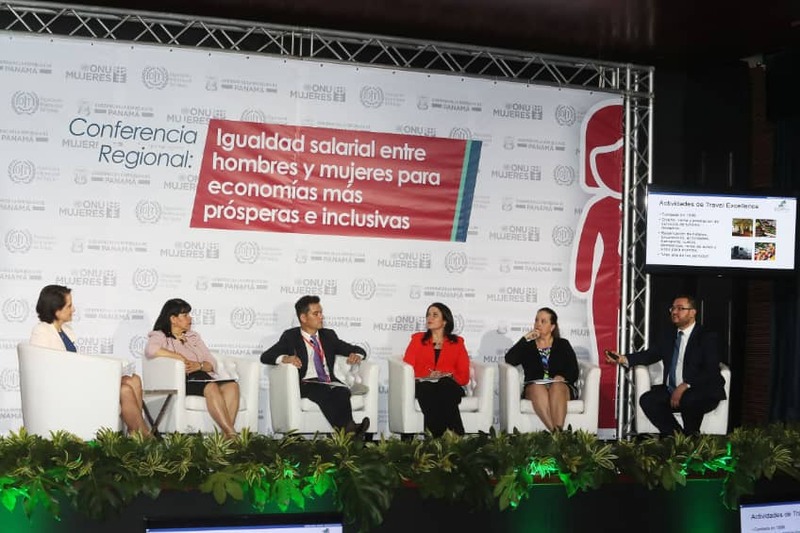 Travel Excellence’s participation, as a representation for Costa Rica, had the opportunity to talk in the panel of how to Build equal pay "from within" companies and organizations. Plans and management systems for equality. 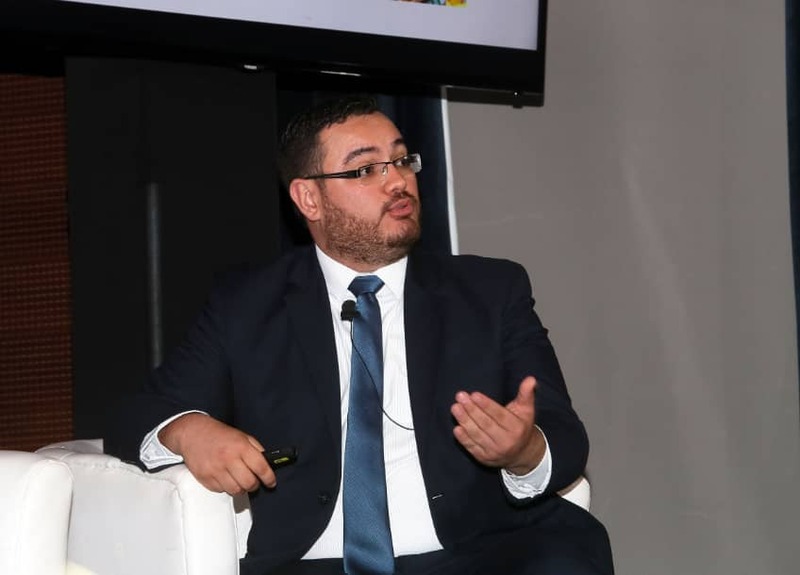 The company’s representative was Mr. Jose Alex Lopez, who was in charge of showing the advances made in terms of gender equality and equal payment and opportunities in the labor sphere. Mr. López shared the panel with other countries’ representatives such as people of public and private areas from Panama, El Salvador, and Spain. This enriched a lot the intervention, as it gave the possibility to discuss about the topic from different realities and perspectives. During the intervention, Travel Excellence shared its experience of being the first certified enterprise in achieving the Gender Equality Mark in Costa Rica. In order to ensure a set of more dignified and fair conditions for its collaborators, Travel Excellence underwent a process of implementing the necessary measures required to adapt its organizational culture and its structure. Despite the company is not as big as other enterprises are, the hard work and commitment of the different parts involved permitted great internal changes and the implementation of good practices that benefit its collaborators, without distinction of gender, age, social condition, beliefs, etc. Travel Excellence not only have been focused on granting the equal payment for both, men and women working there; but also, the company have been working to cover all the possible aspects of equality in the employment reality in the day by day. Some of the improvements involve the creation of a policy against sexual and labor harassment, with committed commissions formed by members of the different departments. Besides, different spaces for staff training on issues related to their rights and opportunities within the company were taught to the totality of its collaborators. And last but not least, the collaborators now enjoy the implementation of equal familiar benefits -for both genders- concerning births, children care, weddings, and other family duties. Taking into account this, we can affirm that the company has gone beyond in this aspect, and it has also served as an example for other companies at national and regional level. Since 2011 Travel Excellence had the strategic challenge of to make internal adjustments and strengthen those good practices for a more comprehensive gender approach. It is a great pride for Travel Excellence to share with different exhibitors of different countries what it means to be the first company in Costa Rica recognized under this standard, and for the fact of being recognized for its commitment to improving the conditions of the workplace. It was in July 2016 when the company signed -along with other 45 companies all of them conscient about ethical issues- the commitment to certify themselves with the Standard Management System for Gender Equality in the Workplace (SIGIG, for its acronym in Spanish), which regulates the national standard INTE 38-01-01, gathered by Institute of Technical Standards of Costa Rica (Inteco) and lead by the Women’s National Institute (INAMU). Since then, the challenges have been many and have involved an awareness of all the company's personnel. In order to achieve this, the company improved its human resources management system turning into one with a clear gender perspective, and ensuring that their recruitment and promotion criteria are equitable for all genders. Performance competences definition, evaluation, and family topics are also procedures to be examined when hiring. Likewise, the company is well recognized nowadays, not only for its egalitarian practices in terms of wages, but also for the opening of equal opportunities for all. Just to mention an example of this, the management positions of each department are equally occupied by both male and female staff. For Travel Excellence it is always a pleasure to participate in these kind of activities, as a way to expose the experience of the company and encourage other enterprises to implement equal conditions as part of their raison d'être and its day by day reality.